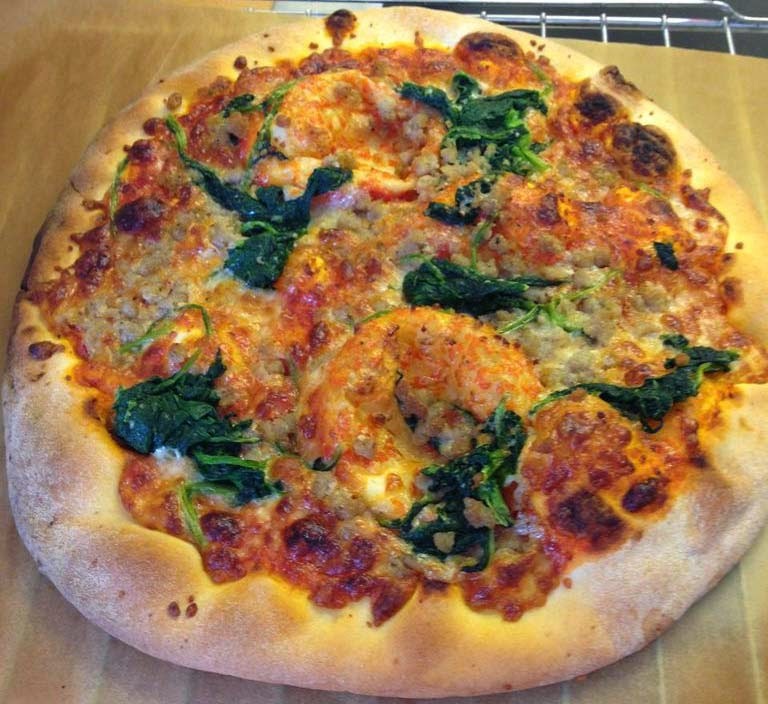 Paolos Pizza Salsiccia is a home-bake pizza with a tomato sauce base and topped with salsiccia, pecorino cheese and friarielli (a green leavy vegetable known in English as rabe). 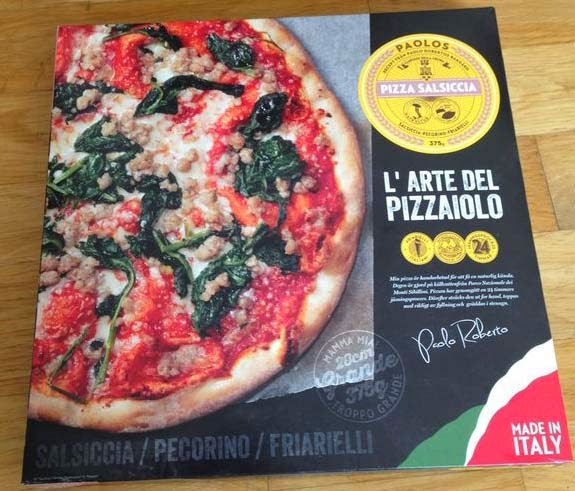 Swedish celebrity Paolo Roberto is the name behind the pizza. He's a former boxer nowadays mostly famous for his Italian cooking with numerous published cook books from his ancestral country and a product line of pasta, pasta sauces and pizzas. His pastas are very good but this pizza was a disappointment. Like most Neapolitan style pizzas the crust was thin and even though I took it from the oven before time it was very hard. The tomato sauce had a deep and rich flavour which was a nice surprise and the salsiccia was tasteful, but the friarielli tasted of nothing and pecorino, which normally has a strong flavour, didn't come through at all. So overall the pizza tasted mostly of tomato sauce. It lacked flavours.